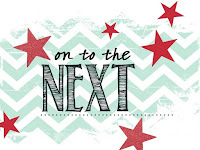 Just Julie B's Stampin' Space: Creation Station Blog Hop - Holiday Catalog Favorites! 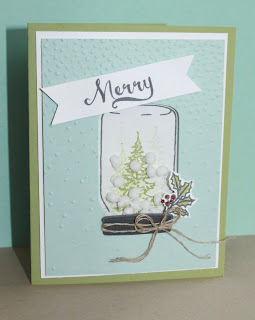 Creation Station Blog Hop - Holiday Catalog Favorites! 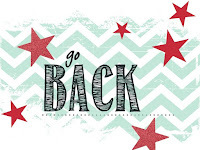 Welcome to Creation Station's Holiday Catalog Favorites Blog Hop! I'm super excited about the Holiday Catalog - so many awesome new sets, framelits, just everything... It was hard to say that any one thing could be my favorite, but ONE of my favorites is the Jar of Cheer stamp set. I love that it goes with the Everyday Jar Framelits from the Main Catalog that I already have! 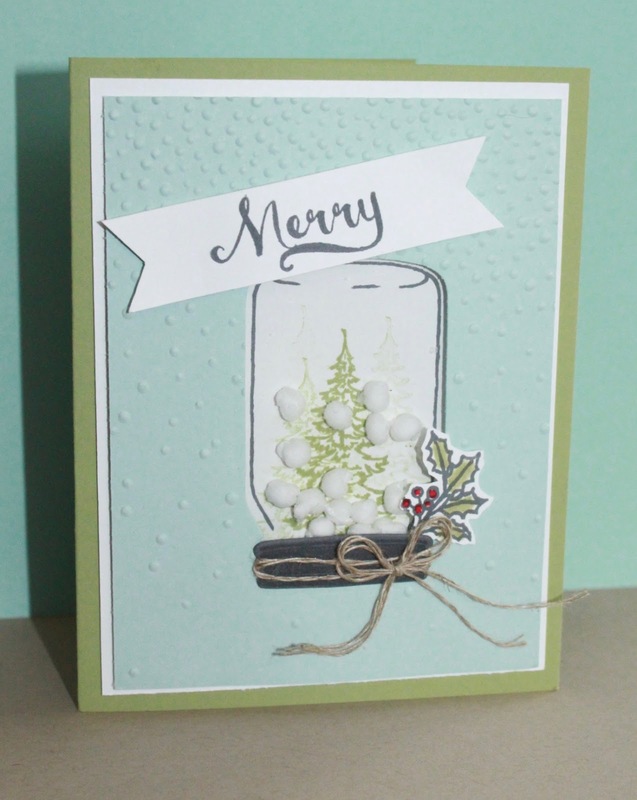 I wanted to make a fillable jar, so I added a Window Sheet piece and used the Foam Adhesive Strips in order to make the 'Shaker Card'. 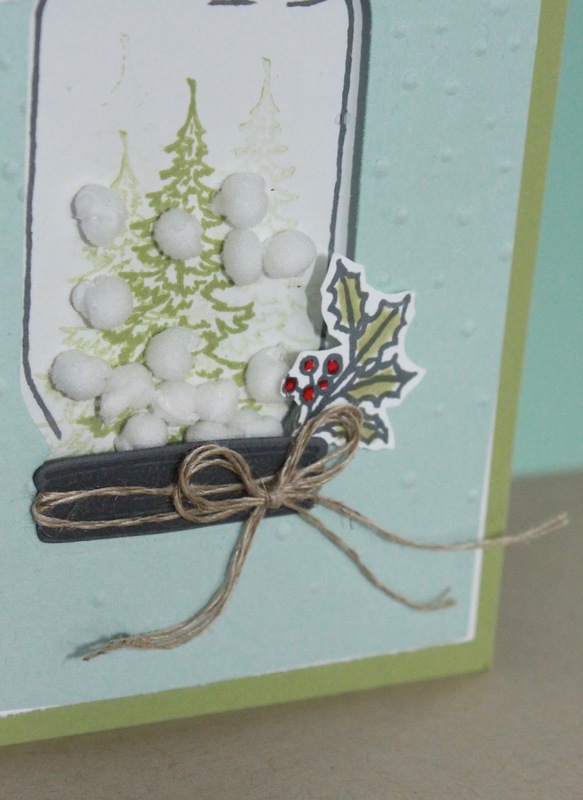 Well then I had seen someone use the Whisper White Mini Pompom Trim (with the pompoms cut off) for 'snowballs'. - So I had to do that!! I love the idea - but the pompoms don't move around inside!! I guess you could double-up the Foam Adhesive if you really want movement, but I kinda like it with the pompoms just randomly around in the space.. 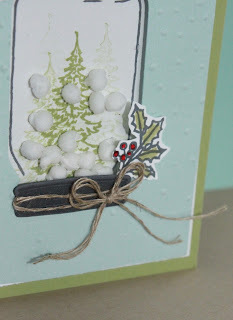 I added the twig of holly and berries, cut off from a larger stamp in the same set. 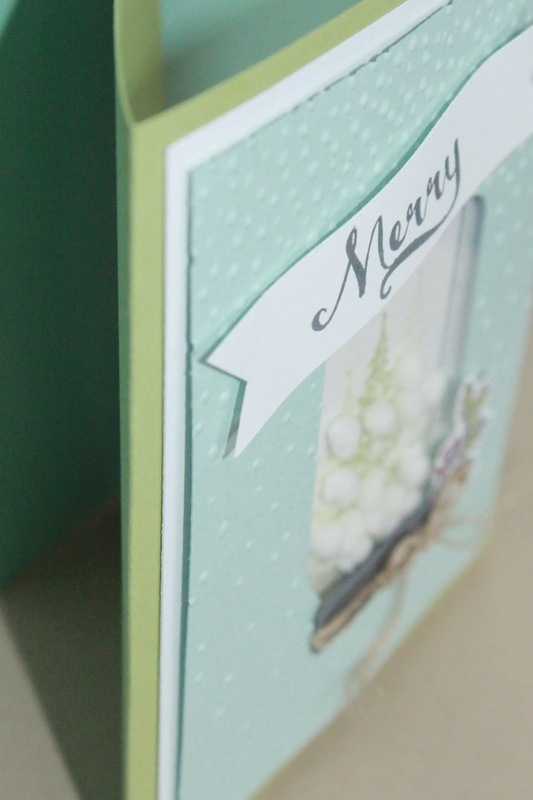 And what I love most about probably every card is - depth and texture. 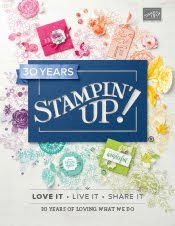 It adds so much more interest to use Stampin' Dimensionals for layers, as well as gently bending tag or accessory pieces. That is a cute way to use the pom pom trim. LOVE the pom pom snow....so clever!!!! Gorgeous card with this set! Love the attention to detail inside your jar. SO SO cute.